If you could offer one piece of advice to help someone get ahead in their career, what would it be? Who they need to get to know professionally in order to build their network for future job opportunities? How do they break into the communications world? What makes them hireable? 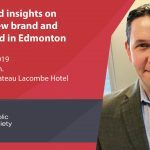 There are a mountain of questions one could ask on breaking into the world of public relations, and in a city like Edmonton where everyone is connected somehow, what’s the best way to stand out and get hired? Simply put, having a mentor, someone who already understands this world, is your best bet! Not only will you gain great experience working with a mentor, they’ll most likely connect you with other professionals in their circles, supporting you as you search for a job and coach you along the way. If you’re a public relations student or are new to the profession, consider applying for CPRS Edmonton’s mentorship program. You have nothing to lose, only a wealth of knowledge that will help you succeed. Mentors can help proteges understand the profession a little more clearly; network with other professionals; and work through a topic you’re working on in your school program or, if you’re already working in the industry, can help you dissect a problem you’re trying to solve in the workplace. They can help you funnel your big lofty goals into bite-sized chunks, helping you work your way to your dream job. Not only do proteges benefit from a pairing, so do mentors! They’re able to pick their protege’s brains to understand what is trending or how new technologies will impact their world; look at current events and think about problem solving through a different lense; and connect you with other young practitioners who you may hire for your team one day. You too can soak up all of the knowledge and lessons from a protege—even when your protege feels they have nothing to offer. You can always learn something from people, no matter the age difference or experience level. Mentorship is a two-way relationship and it definitely takes both sides to make it a worthwhile experience for both people involved. If you’re still on the fence on whether you should participate in our mentorship program, take a read through this great article from 99u, You’re Never Too Young (or old) to Mentor. There’s helpful information, thanks to 99u, for proteges and mentors alike. Have we piqued your interest? Head to our mentorship page for all the details on our mentorship program and learn more about what we can offer you!